With less than a month to go before the premiere of the latest entry in the animated series of the universe, Star Wars Resistance, Disney has released a new teaser for the series highlighting a new group of pilots known as “The Aces,” and can be viewed in the player below! The high-flying adventure series — which takes place prior to the events of The Force Awakens and expands the Star Wars universe — follows Kazuda Xiono (“Kaz”), a young pilot recruited by the Resistance for a top-secret mission to spy on the growing threat of the First Order. The Aces are the most seasoned veteran pilots in the series and know their reputation, with a few of the members acting more than just a little too confident in every situation. This experienced team and the oddball Team Fireball will find their missions aligning in big ways as the video also providing key hints surrounding the rise of the First Order and the appearance of Kylo Ren’s ship. The voice cast includes Christopher Sean (Days of Our Lives) as Kazudo Xiono; Suzie McGrath (East Enders) as Tam Ryvora; Scott Lawrence (Legion) as Jarek Yeager; Myrna Velasco (Elena of Avalor) as Torra Doza; Josh Brener (Silicon Valley) as Neeku Vozo; Donald Faison (Scrubs) as Hype Fazon; Jim Rash (Community) and Bobby Moynihan (DuckTales) as Flix and Orka, respectively; Oscar Isaac (Star Wars: The Last Jedi) as Poe Dameron; Gwendoline Christie (Game of Thrones) as Captain Phasma; and Rachel Butera (Tammy’s Tiny Tea Time) as General Leia Organa. Renowned Lucasfilm Animation veteran Dave Filoni (Star Wars: The Clone Wars, Star Wars Rebels) created the series; Athena Portillo (Star Wars: The Clone Wars, Star Wars Rebels), Justin Ridge (Star Wars: The Clone Wars, Star Wars Rebels) and Brandon Auman (Teenage Mutant Ninja Turtles) serve as executive producers; and Amy Beth Christenson (Star Wars: The Clone Wars, Star Wars Rebels) is art director. Star Wars Resistance takes flight with a one-hour premiere on Sunday, October 7 at 10:00 p.m. EDT/PDT on Disney Channel, DisneyNOW, and Disney Channel VOD. 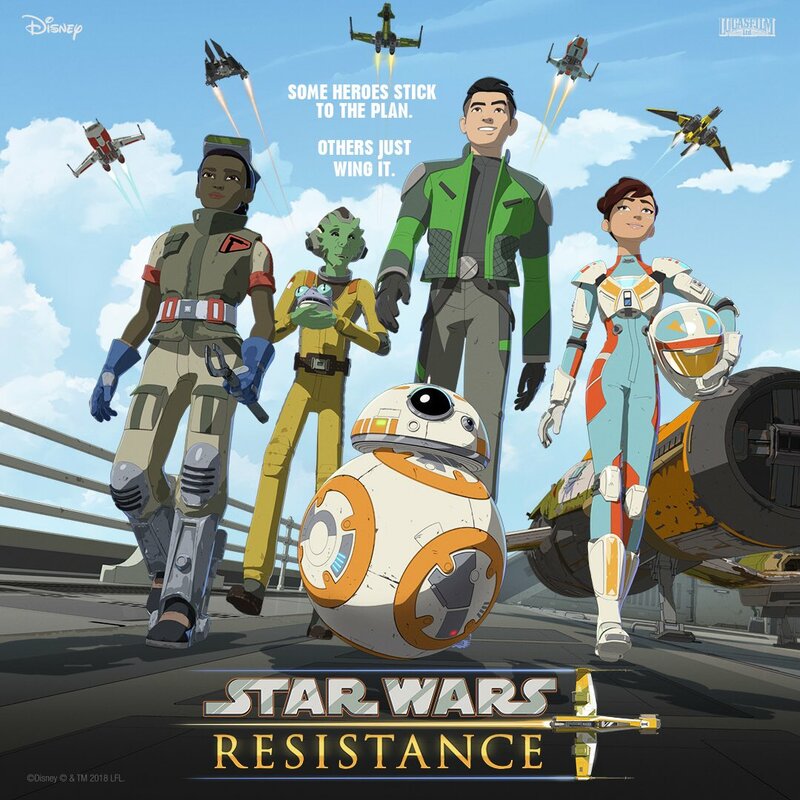 Following its U.S. debut, Star Wars Resistance will roll out globally on Disney Channels worldwide. 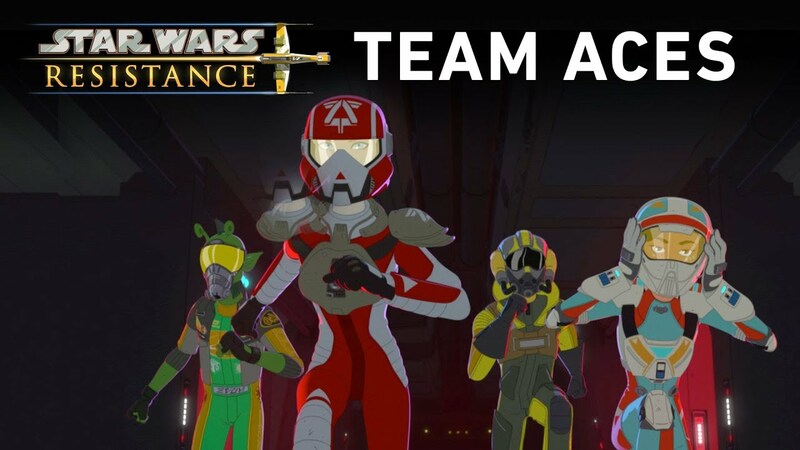 The post New Star Wars Resistance Video Introduces The Aces appeared first on ComingSoon.net.